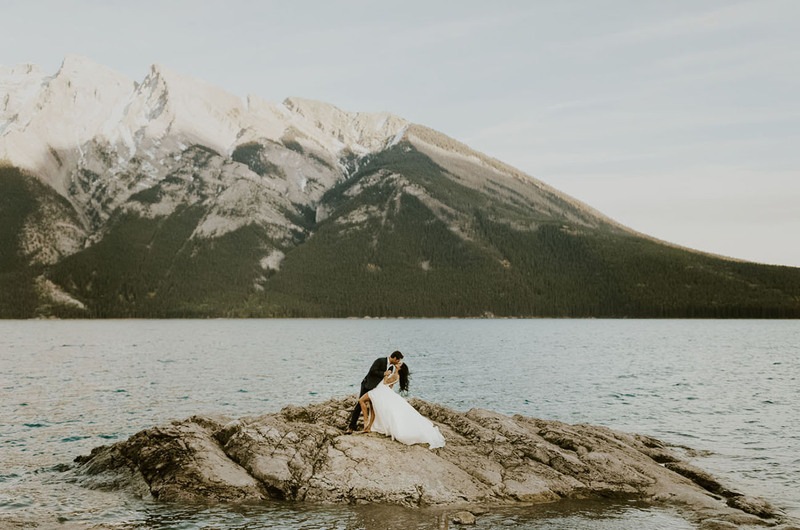 Banff National Park is a place of beauty—we’ve seen its magnificent mountains and scenery serve as the backdrop for several elopements (and for good reason!). 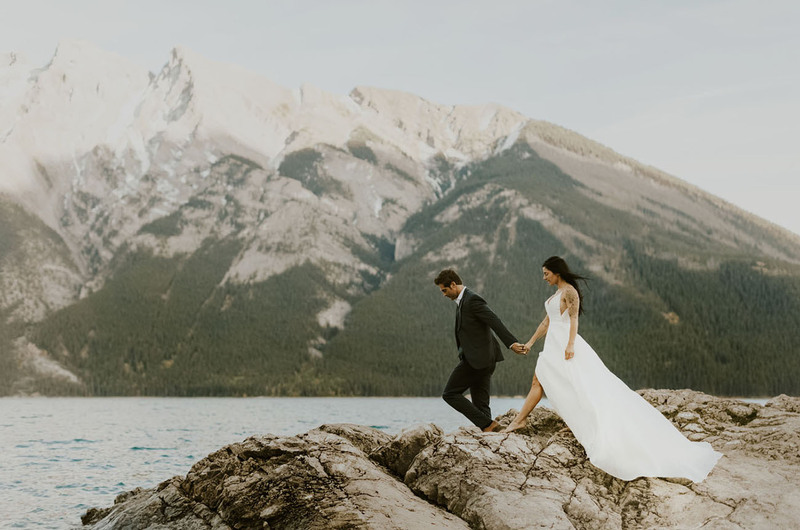 However, many of its iconic views tend to draw a crowd…so, if you’re hoping to say your vows sans tourists, you might have to find another location. 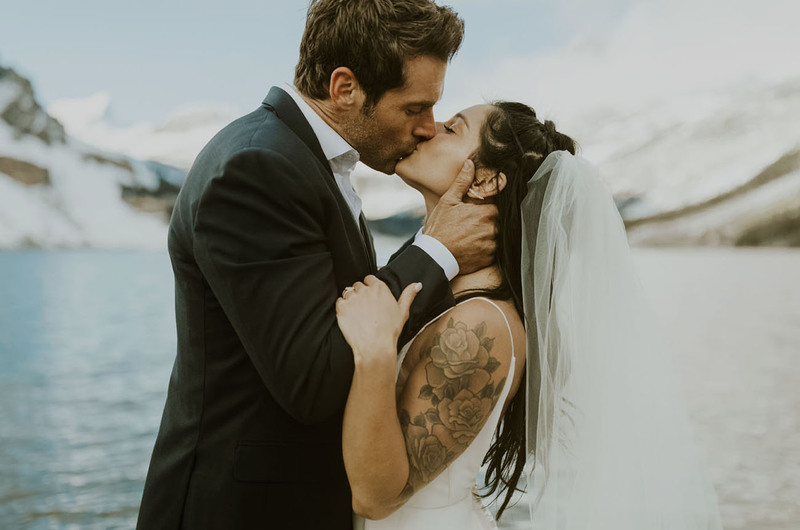 And that’s exactly what Esther and Chad did, with the help of their rockstar photographer, Anni Graham! 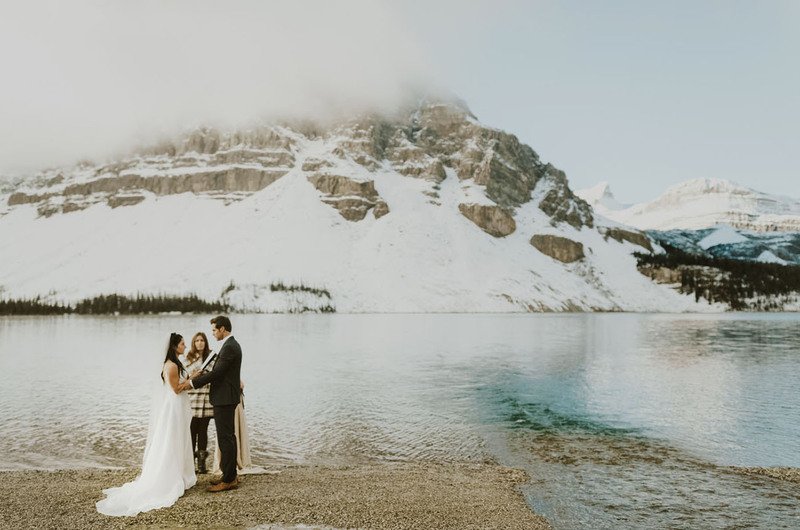 Anni tells us: I feel like Banff is known for big lakes like Moraine or Lake Louise, but if you want a place entirely to yourself, it’s Bow Lake at sunrise. 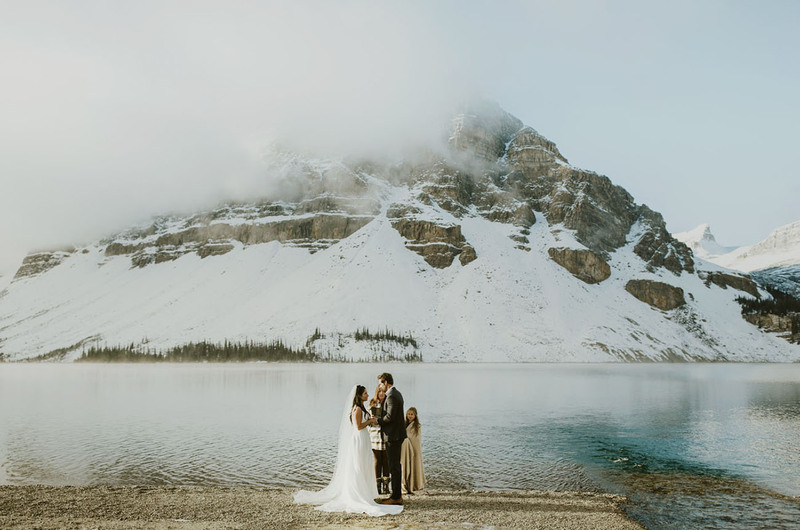 The views were absolutely incredible and as Esther + Chad said their vows to each other, with their daughter smiling through her tears as a witness, the sun slowly melted the snow and the fog evaporated from the lake. 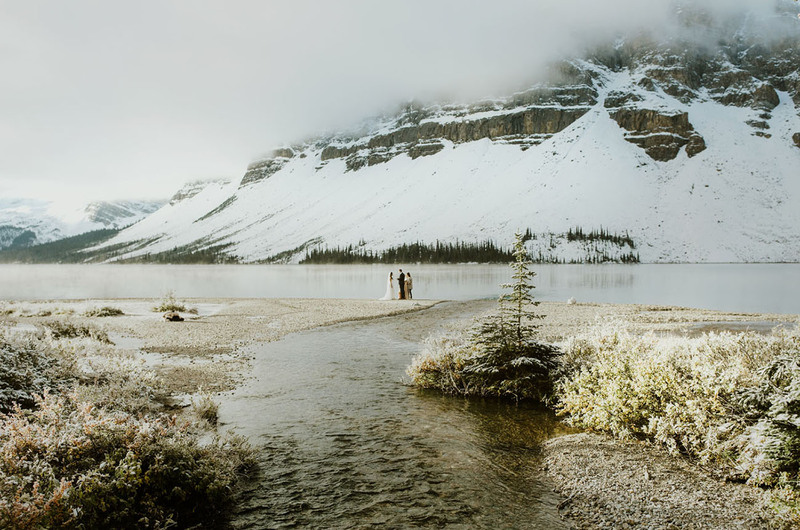 We could keep gushing about how glorious this location is…but we truly think you need to see it to believe it. 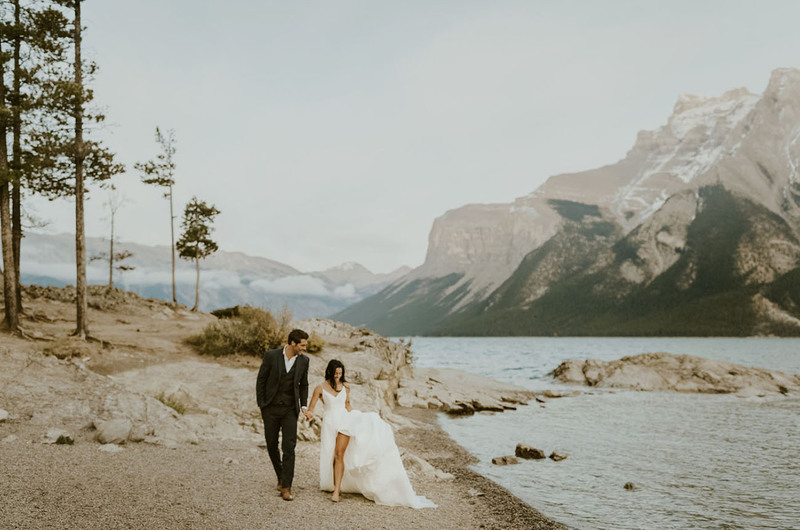 Let’s take a peek at these sunrise elopement photos! 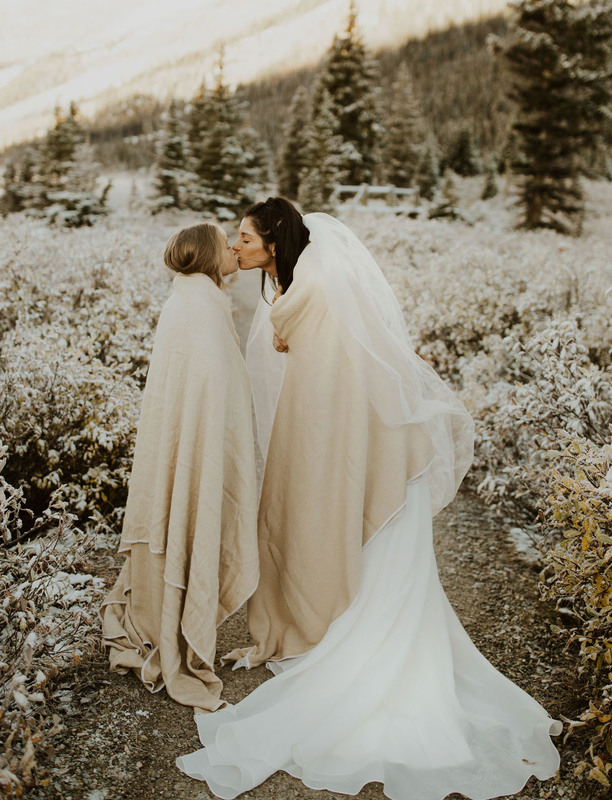 Isn’t this mother + daughter photo so sweet? 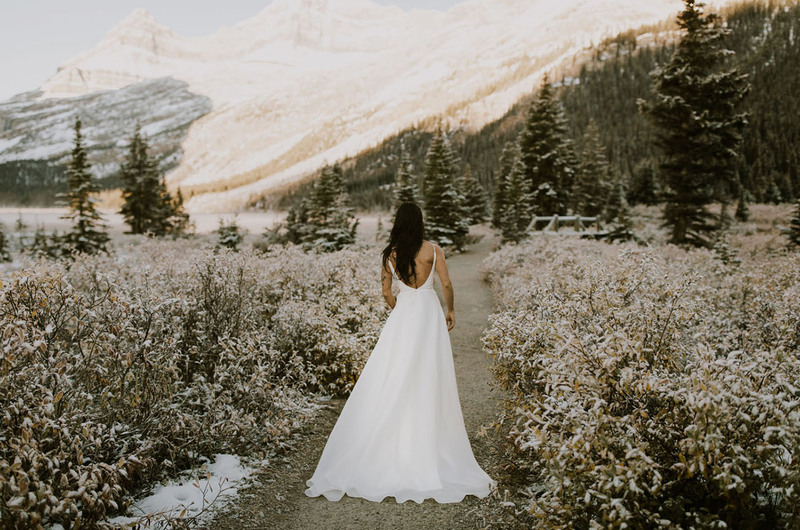 Esther donned a simple + sleek gown from Emma and Grace Bridal. 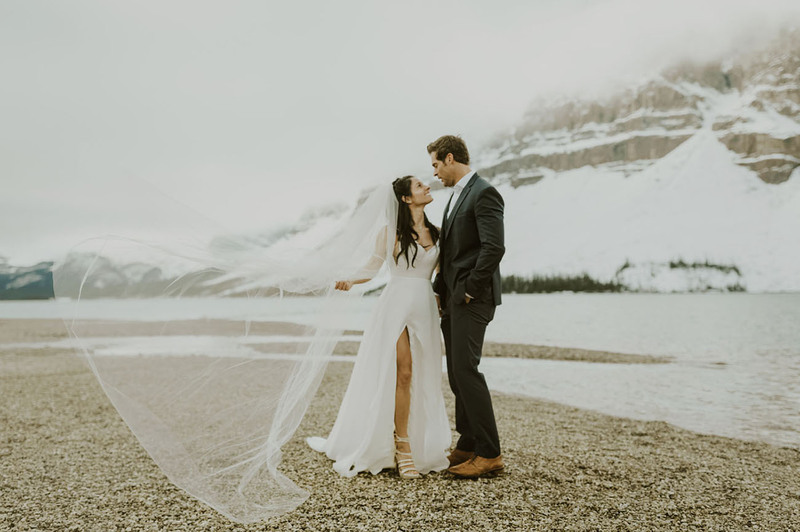 You’ll see the rockin’ front slit in later photos—which, fun fact, she had her wedding seamstress put in! How incredible is that landscape?! 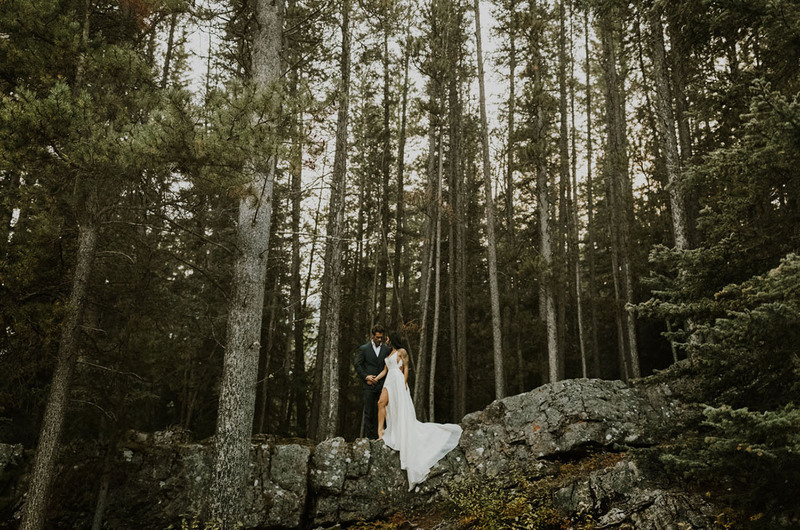 We wanted to go somewhere where we were surrounded by nature and could focus on just us. 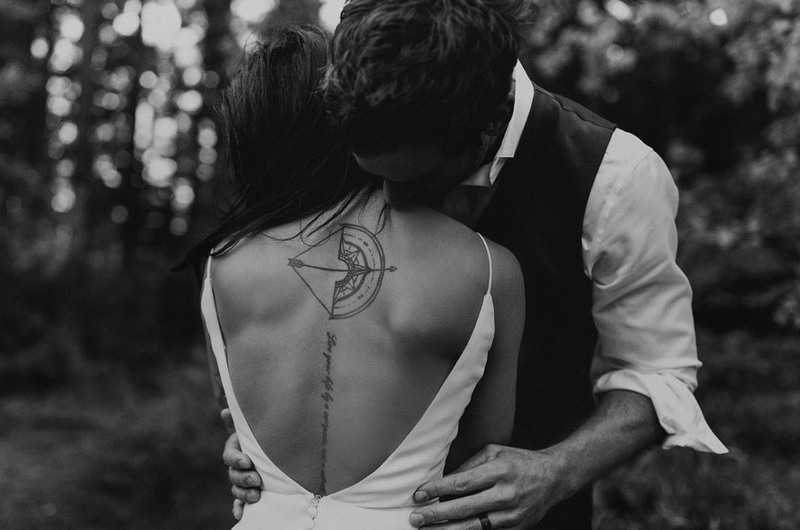 We really wanted to make this wedding about us and make sure we were in the moment…surrounded all the beauty and holding on to one another. 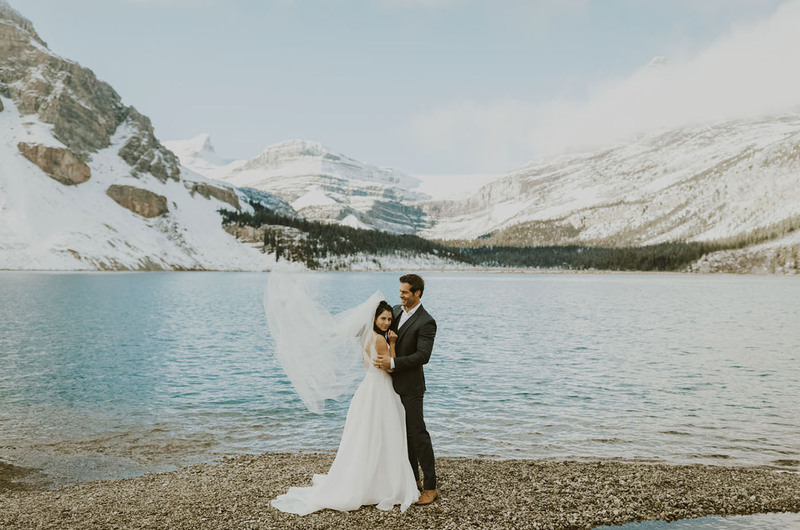 Esther shares: At the end of the day, you get to marry your best friend. 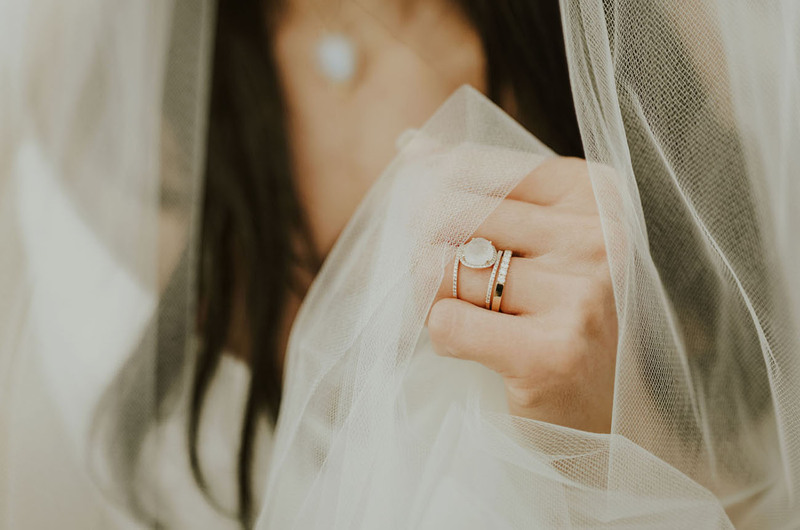 Don’t worry about the small things, take a deep breath and know that the love of your life is waiting for you to say I do and all your worries will disappear! Though getting up in the wee hours of the morning to get ready may seem a bit daunting—even before the sun is up—it’s definitely worth it to get that early morning light. HIRE ANNI AS YOUR PHOTOGRAPHER! I’m serious. 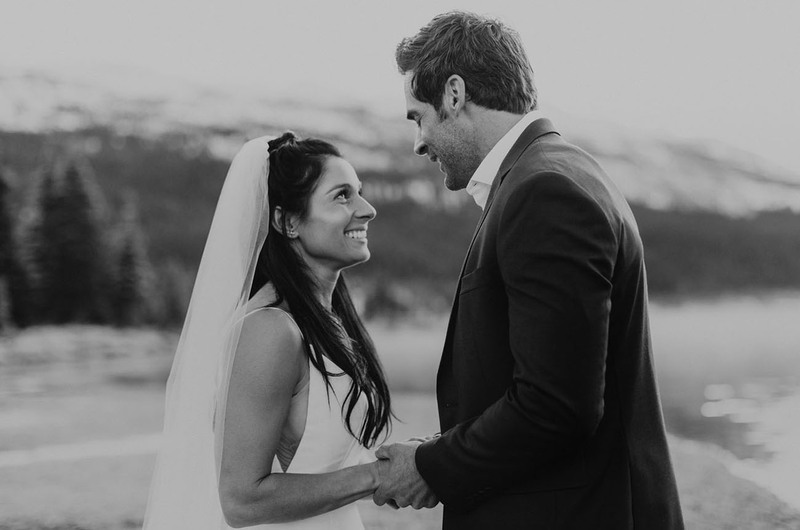 Anni scouted every location with us for a full day and made the experience so much more amazing and way easier! 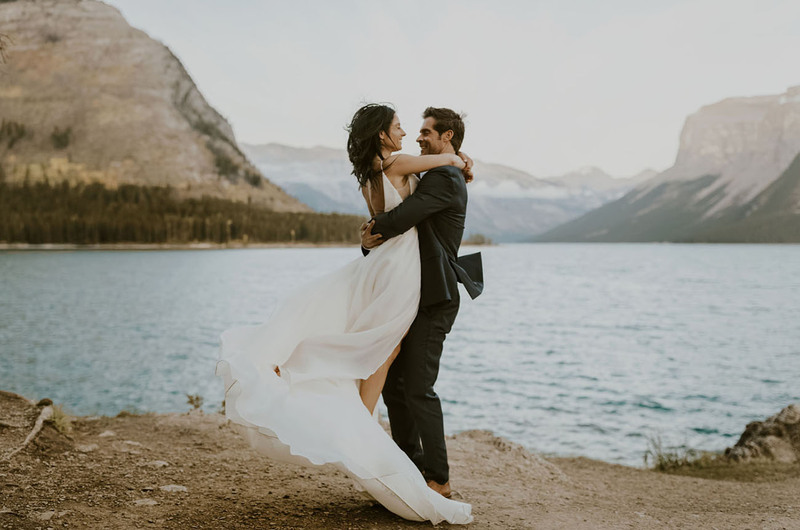 Make sure you visit the place you want to elope to a few times before! 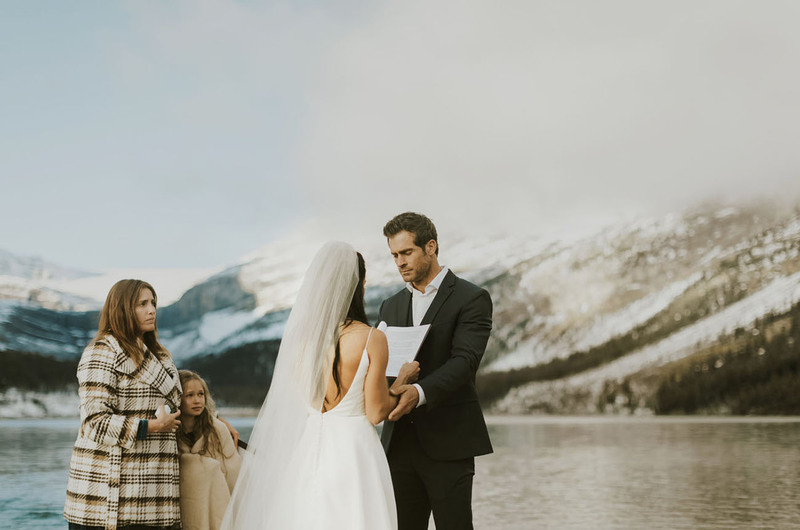 We were actually going to get married on a different lake but it turned out to be way more crowded…we couldn’t even get in the parking lot! So, make sure you know and scout your location beforehand! Also give yourself EXTRA time to get ready! I thought three hours was enough time…definitely not!! Prep the day before and know what you are going to do with hair and makeup beforehand. 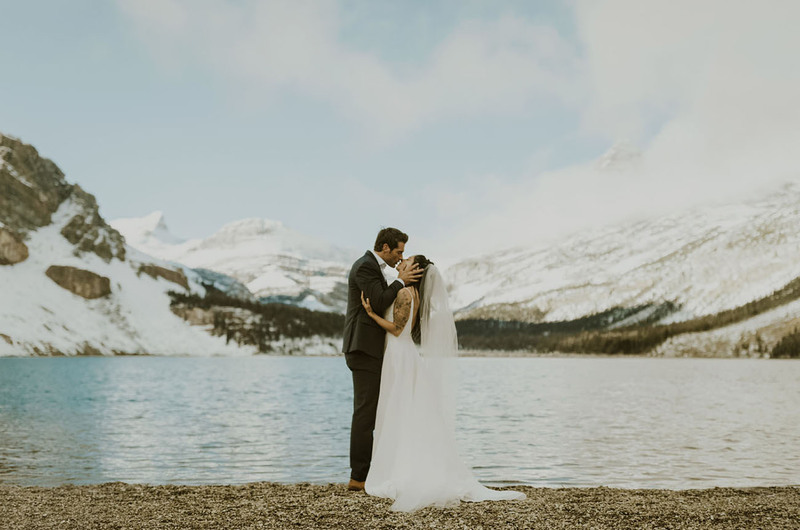 In nature + in the arms of the one you love…how beautiful was E+C’s elopement?! We definitely have a new spot on our ‘Must Visit’ list.